Technology and Engineering Collegiate Association members and former alumni at Robot Rumble: Student Jacob Wenzel (bottom, left), Chris Merrill, student Josh Katz, student Eric Dieterich, student Hannah Heskin, student Jarod Battisto, Phil Tschammer ‘17, student Victor Fuentes, Jeff Jerdee (middle, left), Jim Van Bladel ‘06, Dan Ludwigsen, Michael Geist ’00, M.S. ‘06, Patrick McGing ‘12, Mike Crosse ’12, M.S. ‘16, Jeff Bott ‘01, student Jordyn Imana, Eric LeBlanc ’99 (top, left), Alex Larson ‘10, Tom Steinbach ‘12, Kyle Pichik ‘06, student Anthony Volgi, Jay Whalen, and Paul Hardy ’94. 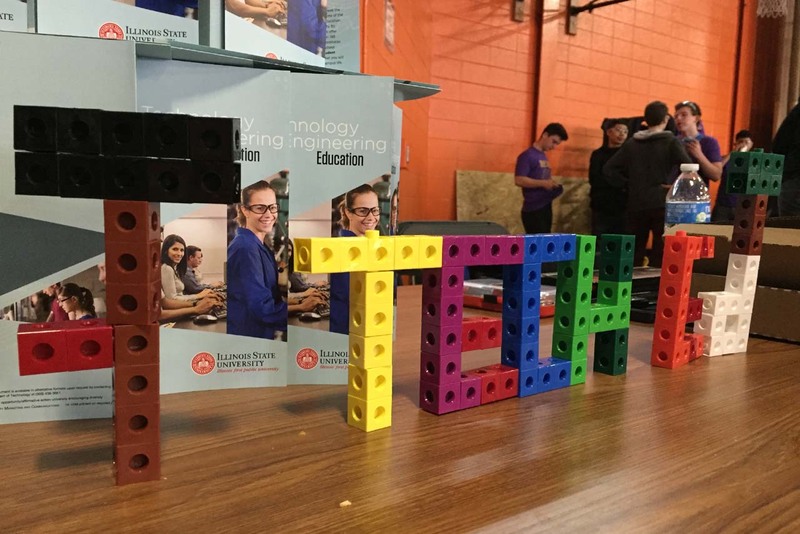 Illinois State University Technology and Engineering Collegiate Association (TEECA) members were in attendance at the District 214 and 211 Robot Rumble (Battle Bots) competition on February 23 and 24. 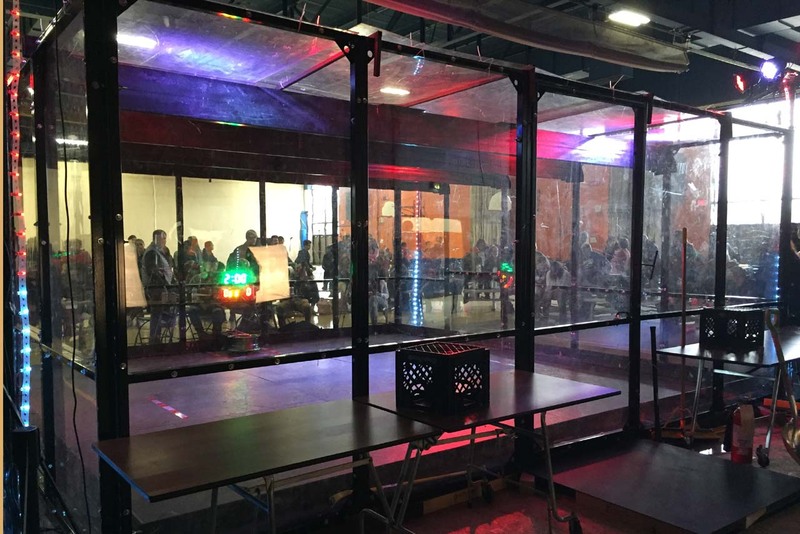 The Robot Rumble was hosted by Buffalo Grove High School, in Buffalo Grove. 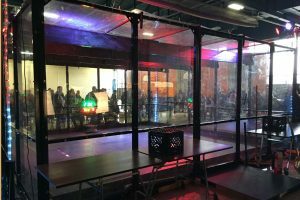 Students worked in teams to design, fabricate, and assemble robots to compete for battle. Before coming to Illinois State University, technology and engineering education student Jordyn Imana started a robotics team at Hinsdale Central High School. She searched for sponsors, equipment, and funding and recruited students to the team. The first year, the Hinsdale team received the Rookie All-Star Award at the Midwest Regional Competition. The technology and engineering education students were at the Robot Rumble to assist the competing teams with technical issues, as well as, recruit future Illinois State students. District 211 schools represented were Palatine, Fremd, Conant, and Hoffman Estates High Schools. District 214 schools represented were Buffalo Grove, Elk Grove, John Hersey, Prospect, Rolling Meadows, and Wheeling High Schools.